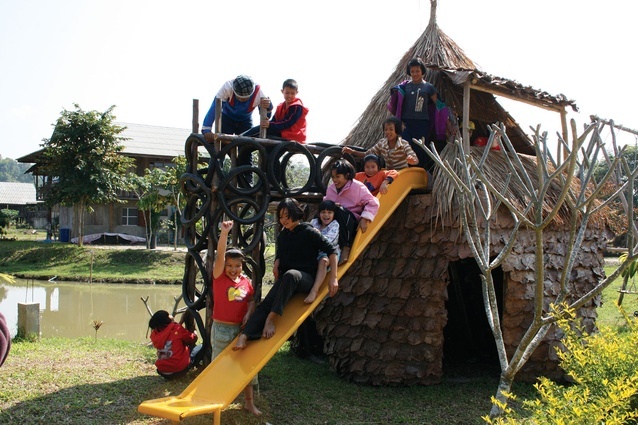 Since 2010, Marcus Veerman and his not-for-profit organization Playground Ideas has been helping build playgrounds in developing countries. Click on the Image or one of the links above to read the article on ArchitectureAU by Vanessa Murray. This entry was posted in Cultural Restoration, Developing Countries, Playground, Public Space and tagged cultural restoration, developing countries, Landscape Architecture for Humanity, Playground, Slums on April 10, 2013 by laforhumanity. For landscape architects interested in humanitarian work located in a tropical environment; check out this opportunity for a two year stint in Papua New Guinea working as an urban planing adviser. Work will include advising on the development of waste and environmental management, and supporting the development of a beautification program for Kimbe town. To ensure local staff have the capacity to implement the town plans, you will also work towards developing a training program for local staff. Click the image or link above for information about this opportunity. This entry was posted in Competitions & Opportunities on March 11, 2013 by laforhumanity. Landscape Architects should be involved with devising ways to bring out the best cross border solutions.The Borderless Competition brings attention to the spaces along the borders of the 10 ASEAN nations, with the aim of improving their existing conditions. Does landscape have borders? Is the LA profession well placed and primed for projects of this nature? Have a look at the competition website below and get involved! Click the image or link above to visit the competition home page. This entry was posted in Competitions & Opportunities on March 10, 2013 by laforhumanity.